The luxury villa Martina is for rent only 20 m. from the sea in Mirca on the isle of Brac (Croatia). Wonderful, modern vacation villa for 10 with private pool, jacuzzi, air conditioning, WiFi internet and spectacular sea view! The luxury villa Myrna is for rent in Sutivan on the isle of Brac (Croatia). Gorgeous villa with 4 bedrooms, 4 bathrooms, air conditioning, WiFi internet, private pool and private tennis court! 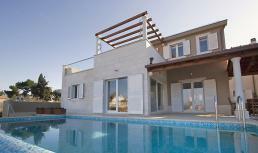 This luxury villa is for rent in Bol on the isle of Brac (Croatia), only 20 m. from the sea. 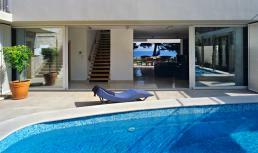 Wonderful, modern vacation villa for 12 with two private pools, air conditioning, WiFi internet and spectacular sea view!